The teacher route of The World God Only Knows is pretty cool. Keima is trying to make his young nubile substitute teacher fall in love with him, I mean trying to “conquer” her, but instead he gets approached by the teacher preemptively, so he got confused. But to the teacher, Keima is a hetare (immature, coward, loser), that’s why she’s trying to reach out to him. Otherwise, who would try to help him if he’s seen mature? But how come so many grownups are like Keima today? In other words, why are we seen “immature” by the 3-D world? Yes, so many immature adults have appeared in Japan after the Cold War and the bubble economy. The Cold War ended in 1989, and the Showa period ended in 1989 in Japan. Yes, in fact, we are the après-guerre generation, the post Cold War (bubble), Heisei generation. Yes, 1989 was the 100th birth year of Hitler. Before the internet, video game, PC, laptop, a loser had nowhere to hide. So, the only thing he could do was get out of his hometown and wander like a gipsy. Jesus of Nazareth was rejected in his hometown, so he wandered to other cities to spread his word. If Jesus lived today, he would’ve become a hikikomori posting articles to his blog instead. That would’ve been the true Good News. The archetypical loser used to be Tora-san. He didn’t have the Internet, his own TV, nor a video game, so basically there wasn’t any resource to be a hikikomori. He didn’t even have LovePlus. His room would be full of boredom. So, the only thing he could do to escape from reality was travel. Whenever a girl turned him down, he went traveling. 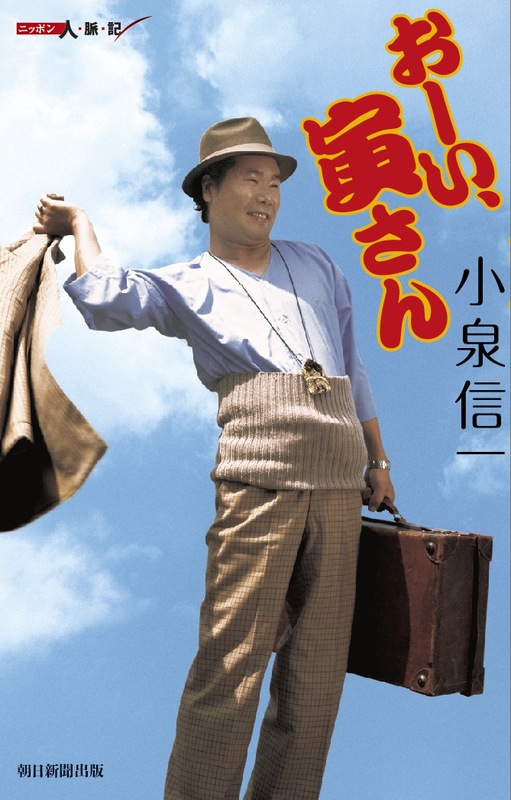 Thus, he’s known as フーテンの寅 (Fūten No Tora “Tora the drifter” Fūten is NEET in today’s sense). Today, if a girl rejects you, you don’t need to travel, you just stay at home, playing dating sim, and watching romantic comedy anime. I also went through harsh rejections, and out of desperation I moved to America, so I’m more like Tora-san in that sense. Even Obama said the damage level inflicted by girl’s rejection is equivalent to rejection by the entire community in his book The Audacity Of Hope. But now, I ain’t got no dinero to travel. If I did, I would’ve traveled to Sweden or Brazil or the Alps, but the only thing I can do now is escape to 2-D thanks to geeky technology. Life span is also a factor. Right now in Japan, the average age is 43 years old, the oldest in the world (excluding Monaco). And Germany and Italy are just behind Japan. Yes, the people of the ex-axis powers are the most immature herd of hetare, thus Hetalia. That’s why so many Italian men are bamboccioni. They can’t overcome mazakon (mother complex). Back in 1950, Japan’s average age was 26. So, the Japanese youth from the 50’s were much more mature compared to today’s youth. During the Edo period, a Japanese boy became an adult when they reached 15. Two thousand years ago, Jesus had discussions with rabbis when he was just 12. But bar mitzvah is 13 years old, so at that time, Jewish boys were already mature enough to have intelligent conversations. So, it isn’t surprising that an early teen Jesus had discussions with rabbis. It was around 1970 in Japan that romantic marriages surpassed arranged marriages. And it was around that year that the Tora-san series came out. Tora-san was a new hetare. Yes, “new-type” indeed. He seeks romantic marriage. He constantly falls in love at first sight, and tries to be avec, but always fails in the end. “I can see the ending.” And always bad ending. So, there’s no spoiler watching Tora-san. The outcome is always the same, just like my life. Tora-san was 38 years old when the series started, and during the early 70’s the average age was 31. But he was immature for his age. He dropped out of school when he was a 9th grader, since then, he kept drifting and never had any steady job. So, he was a 15 years old kid forever, just like I’m 17 forever. Today, immaturity is not a problem. Actually until 43 years old, you can be immature since Japan’s average age is 43 years old, nobody can blame you for being a drifter until 43. Yes, under 20 is underage in Japan de jure, but under 43 is de facto underage. That’s why young people avoid marriage today. They aren’t “old” enough to settle down. That’s perhaps why animes and mangas are exclusively school-themed. In fact, the only kind of books Tora-san read was manga, while his other family members read newspapers and social issue magazines. Therefore, he was the pioneer of hetare. Thus, the Japanese folks under 43 years old are underage (America’s is about 35 years old, the age qualified to run for President. For more info about North American hetare, read this article). But, by law, they aren’t. So, the age is not absolute but relative. Hitler said the Orient would produce the eternal immature group. But his prediction was wrong. Germany too has a lot of immature folks, and of course, Italy too. 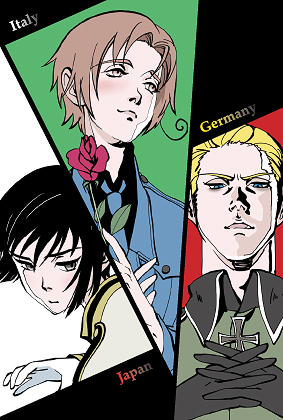 Yes, the ex-axis powers now have really become Hetalia – Axis Powers. So, this anime is actually a pinpoint reflection of this 3-D world, with clairvoyance of a sharp satirist. 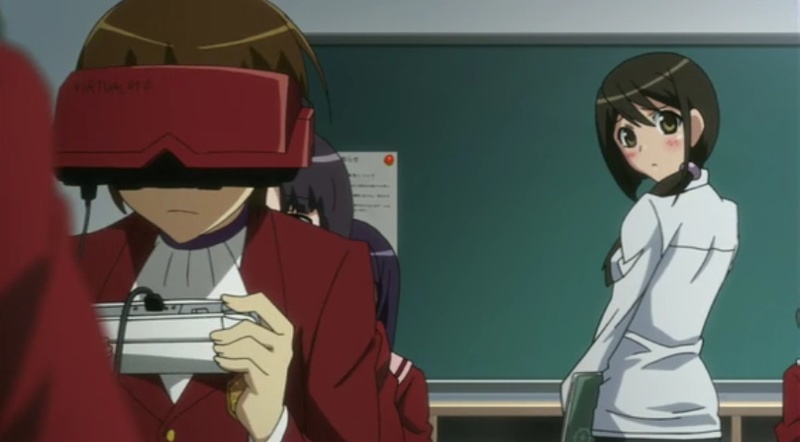 And Keima from The World God Only Knows is a representative of an axis power. Tora-san from the 70s was the turning point, it set the course for Japan to become a hetare nation, and now we all become a Tora-san, but with the Internet and video games, we can now go inward, by escaping to 2-D instead of becoming a drifter. I’m proud to be 17 forever! This sounds like a bad escapism Sociology aspect. Very true assessments! Yeah. It’s far better than drug abuse though. Moelogy aspect, it’s a great escapade. This brings in my thought of what would happen to the survival of a society then? Drug abuse comes in something as simple as caffine or pain killers. What would happen to the survival of 3-D? 3-D stays the same, it doesn’t change a bit, we don’t have influence over it, I can’t change it, nor has Scion of Kenya been able to.